Investment platforms have maintained their share of self-managed super funds in the past two years but the market share of the providers has shifted in favour of the non-aligned in the latest Class SMSF Benchmark Report. The September quarter Report, based on an analysis of 120,000 SMSFs, shows that slightly less than 1 in 5 SMSFs use platforms and this has remained relatively stable for the past two years. However, the proportion of assets these funds hold on the platform has actually increased since 2014, from 55% to 58%, suggesting that predictions of the imminent demise of platforms in the SMSF market are premature. However, the market share of different platform types has shifted significantly over the same period. While all platforms increased the value of SMSF assets they held, most institutional platform providers lost ground compared to their non-aligned peers, especially Praemium, HUB24 and netwealth. The notable exception among the institutions was BT, which was able to build on its leading position and grow from 41% to 46% of all platform assets. Excluding BT, institutional platforms saw their share of platform assets drop from 47% to 40%. I don’t find this a surprise as BT has launched its new generation BT Panorama platform which works especially well for SMSF investors. You can access Cash, very competitive Term Deposits from BT, Westpac and St George as well as shares, hybrids, ETFs, managed funds and managed accounts all on the one reporting platform as well as include external assets in the report. We have started using this platform for new clients as it is keenly priced with no administration charge for cash or term deposits and competitive admin fees for shares and managed funds. The Report also found that SMSFs that use a platform allocate their assets differently to those that don’t. SMSFs that use platforms hold less cash and direct property but almost three times the percentage of managed funds as other SMSFs. While the two categories of SMSFs have a similar direct exposure to shares, those that use platforms appear to be increasingly holding their equities off the platform, such as through a broker. In my earlier blog Get Super Scheme Smart – ATO warns on dangers of retirement planning schemes I went through the ATO guidance and their push to educate trustees about early release schemes and fraud attempts. In a recent case they showed that they will enforce the penalty regime where a trustee has deliberately flouted the rules. The penalty, $40,000 and loss of right to be a trustee in future. The case of Deputy Commissioner of Taxation v Rodriguez resulted in significant penalties being imposed following a large number of unauthorised withdrawals by an SMSF trustee. In this case, the fund trustee fabricated a loan arrangement, made cash withdrawals to purchase gold bars (later selling them and depositing the proceeds of sale into his own bank account), as well as making a number of other unauthorised withdrawals for his own personal benefit over a number of years. − the trustee failed to prepare a written plan specifying: the amount by which the in-house assets of the fund exceeded the market value ratio of 5% at the end of each income year; and the steps by which the trustee proposed to dispose of the in-house assets equal to or greater than the excess amount, contravening s 82. In imposing the penalties, the court took into account the trustee’s cooperativeness with the ATO, investigating officers, solicitors and the court process. The court also accepted that the trustee was contrite and apologetic, and was a person of good character. It was also apparent from the material before the court that the trustee was a troubled person at the time of the contraventions. It should also be noted that some attempt had also been made to repay amounts withdrawn (including an interest component). In addition to a monetary penalty of $40,000, the trustee was barred from acting as a trustee. This should be taken as a strong warning to small business owners and company directors who may also endanger their ability to control their business or be a company director in their business life because of issues caused by managing their Self Managed Superannuation Fund poorly. For those who feel the additional risk of running an SMSF may expose their career to unacceptable risk then they should consider a retail or industry fund or if you have assets that are unable to be held via one of those, like a property, art or bullion, then you should consider moving the Trustee responsibilities to a professional trustee via a Small APRA fund. I will deal with this option in a future blog. If you are in a position of financial hardship or want to do a complex investment then why not contact us to se if there is a legal way to achieve the same goal without getting yourself in trouble. The old adage “if it sounds too good to be true then it usually is” holds firm especially with superannuation “release” schemes. The ATO is stepping up its education efforts to help consumers while clamping down on promoters of such schemes. 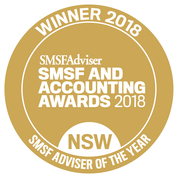 Here at SMSF Coach and our sister firm Verante Financial Planning we are always willing to offer a second opinion on any recommendation you are concerned about. The Australian Taxation Office (ATO) is extending a helping hand to pre-retirees through Super Scheme Smart, a new initiative launched recently that educates people on the dangers of risky and illegal retirement planning schemes. The ATO has identified a significant number of retirement planning schemes designed solely to help people avoid paying tax on their assets in an illegal manner and is working to close these down. The ATO is delivering practical help and information through their Super Scheme Smart website, including a comprehensive information pack, case studies and videos, as well as sending taxpayer alerts into the community about schemes and why they don’t fit within the law. Mr Cranston urged people undertaking retirement planning to remain vigilant and to come forward if they believe they are at risk or are already involved in a scheme. “Retirement planning makes good sense provided it is carried out within the tax and superannuation laws. Make sure you are receiving ethical professional advice when undertaking retirement planning, and if in doubt, seek a second opinion from an independent, trusted and reputable expert. “We do our best to shut down dodgy schemes but the best defence is working together. Blowing the whistle on those promoting retirement planning schemes will help us stop them from risking your or others’ retirement savings,” Mr Cranston said. Non-arm’s length limited recourse borrowing arrangements – When an SMSF trustee undertakes limited recourse borrowing arrangements (LRBAs) established or maintained on terms that are not consistent with an arm’s length dealing. For more information, see Practical Compliance Guide. Personal services income – Where an individual (with an SMSF often in pension phase) diverts income earned from personal services to the SMSF where it is concessionally taxed or treated as exempt from tax (refer to Taxpayer Alert (TA 2016/6)). 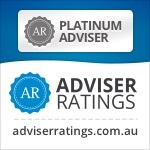 As mentioned above at Verante Financial Planning we take very good care of our clients and ensure all our client strategies are fully compliant and tick all the boxes so our client can sleep securely at night know that while they have used the superannuation and tax systems to maximise their savings position, they are always within the regulations and the spirit of the law. Let’s start with a definition of what is an Enduring Power of Attorney (EPoA). An enduring power of attorney is a legal agreement that enables a person to appoint a trusted person – or people – to make financial and/or property decisions on their behalf. An enduring power of attorney is an agreement made by choice that can be executed by anyone over the age of 18, who has full legal capacity. We make decisions for ourselves on a range of family, work and lifestyle issues everyday and often we are reluctant to admit that there may come a time when we may no longer be able to do so. People don’t like to think about becoming mentally incapacitated by illnesses such as Alzheimer’s or dementia, or becoming physically or mentally incapacitated as the result of an illness or accident. But if it does occur it is vital there is a vehicle in place allowing someone else to legally make decisions. If we have legal documents prepared prior to us losing capacity to make them, our decisions can be made by someone we know and trust. If we do not have those documents in place before we lose capacity then decisions may have to be made by a government department set up for the purpose of dealing with financial and personal affairs of an incapacitated person. Most of us given the choice would probably choose the first one but to do this we need to make the documents whilst we have the mental capacity to make them. A person has capacity to make valid legal documents if they can understand why they are making the document and the choices which may be involved (choosing a person to act for you). You must be able to weigh up the result of giving power to someone else to act for you and you must be able to communicate your decision to make a legal document. The main reason why we have legal documents giving a person or persons the power to act for us is that they will know our wishes and preferences and will act in our best interests. It is also a cost-effective way of protecting our family, finances and assets. Well except in very limited circumstances, a self managed superannuation fund will only qualify as an SMSF where each member of the fund is either a trustee of the fund or a director of the fund’s corporate trustee. It is because of this threshold requirement for existence as an SMSF that the EPoA becomes a very important document for the SMSF member. How does the SMSF run? How can documents be executed? How does a corporate trustee operate? How can a new trustee appointed? How will assets be bought or sold? How are pensions or lump sum withdrawals approved and facilitated? If there isn’t an EPoA what can happen? But who will they appoint? Surviving spouse, son/daughter, Public Trustee? Do you think the Public Trustee wants to be running a SMSF? What happens to the SMSF while waiting? … the executor of the will or administrator of the estate of a deceased person, the trustee of the estate of a person under a legal disability or a person who holds an enduring power of attorney granted by a person. the enduring power of attorney “relief” can be invoked to assist not only when the member is under a legal disability. However, as also evident from the above, the fact of the EPoA being drawn up, properly signed and sitting in someone’s drawer is not enough. The LPR/EPoA must be appointed as a trustee of the SMSF, or as a director of the corporate trustee of the SMSF. The appointment of the LPR/EPoA must be in accordance with the trust deed, the constitution of the trustee company (if any), the Superannuation Industry (Supervision) Act, and any other relevant legislation (such as the Powers of Attorney Act 1998 (Qld), the Guardianship and Administration Act 1990 (WA) and the Corporations Act 2001 (Cth)). A member who has lost capacity must cease to be a trustee of the SMSF or a director of the corporate trustee upon the appointment of their LPR. Where the EPoA appoints multiple attorneys, one or more of those attorneys can be appointed as trustee or as director of the corporate trustee in place of the member. Similarly, multiple members are able to execute an EPoA for the same LPR, who can be appointed as a trustee or a director of the corporate trustee in place of each of those members. A member is also able to execute an EPoA in favour of an existing member who is a trustee or director of the corporate trustee. In this case, the incapable member can cease to be a trustee, or director of a corporate trustee, and their LPR, already a trustee or director in their own capacity, will also be considered to be appointed in the capacity as LPR for the incapable member. Once appointed, the attorney performs their duties as trustee or director of the trustee company as a trustee or a director rather than as attorney or agent for the member. The attorney will be subject to the obligations of a trustee and must sign the trustee declaration stating that they understand their duties as a trustee. The attorney cannot be a disqualified person and must be eligible to be appointed as trustee. If necessary, prove that they have been appointed your attorney. While the decision to grant an EP0A should not be taken lightly, it is an important document which all adult Australian’s should have in place, but it is particularly vital that every adult who is a member of a SMSF execute a valid EPoA. Failing to have an EPoA can result in delays or a financial disaster if a member loses capacity. Having an EPoA will ensure that upon the loss of capacity of a member, the fund can continue to be a complying SMSF.